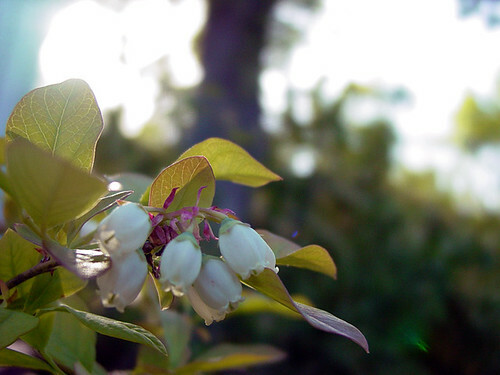 our blueberries are coming along : brand new 'spring foliage' pinhole cards. The weather here this weekend was truly a taste of summer, sunny and warm. What was it like where you are? Yesterday I worked in the yard, mowed [with our little old-timey, person powered mower, non-gas, non-electric] and did a little weeding. We made a salad last night from our salad mix we planted and I think we'll have the first taste of a ripe strawberry this week! Emily asked me when my summer vacation begins; officially at 3:30 pm. this Wednesday! I will be teaching on Fridays in June/July but the rest of the days will be studio days. This will be my first summer in the new studio and I'm so excited for that! so excited! I made some new 'spring foliage' pinhole cards this weekend, inspired by all that is growing around us.